Healthy, Rich, decadent and moist Eggless Ragi Brownies (finger millet brownies) are your best bet to make your indulgences guilt free. They’re butter free, egg free, easy to make and taste incredibly delicious and original. You’ve got to try it to believe it. Unbelievably real! Before we get to the actual recipe, I wanted to share with you guys that this post marks a celebration of sorts because, I just revamped my website with a new look and a more stylised and organised feel. I’m so so happy to share with you this version of Slurpy Platter that has a new set of wings and is ready to take off and embark on a new journey. I’m ever so thankful for all the support that I have received from my husband for patiently helping me out in every step and being there for me through my thick and thin, if it weren’t for him I really wouldn’t be writing int his space that I call mine. Slurpy Platter is my baby and along with little A, my mischievous monster, this blog has become a part of my heart and family. 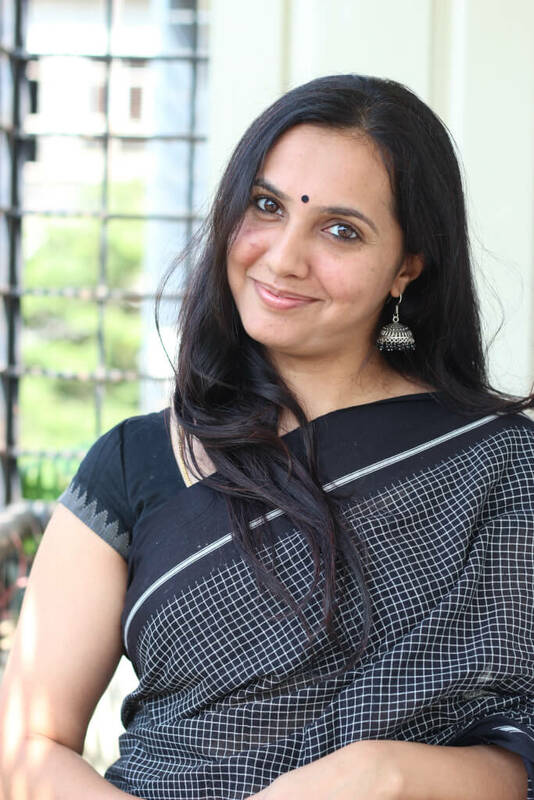 Special thanks to my friend Krishna who helped me immensely in revamping the blog and fixing a lot of issues that were haunting my mind and the blog in the form of a bug. Thanks to everyone who have been there for me and encourage me to do my best. 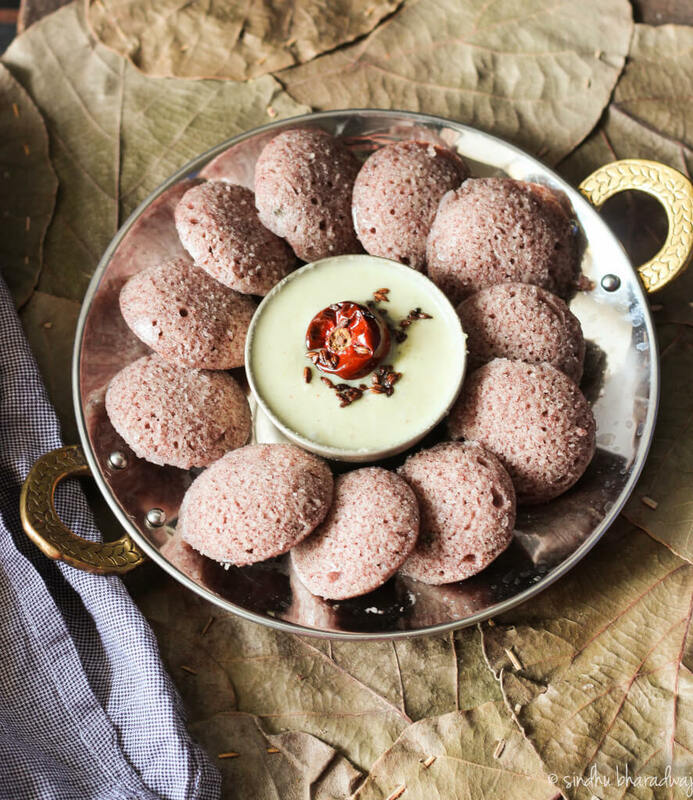 I’ve always wanted to try using millets in my baking experiments and more so ragi is so versatile and hence I was intrigued by making something that tastes equally delectable and make the indulgence guilt free. The first time I tasted Ragi brownies was at a health cafe sometime last year. They were moist, fudgy and I just couldn’t believe that they were made out of ragi flour. Much before that, I had fairly heard about ragi brownies and ragi cakes at the millet fair that took place at the Palace grounds in 2016. However, most of the versions that I looked up for either had egg in them to make it completely gluten free or had butter. 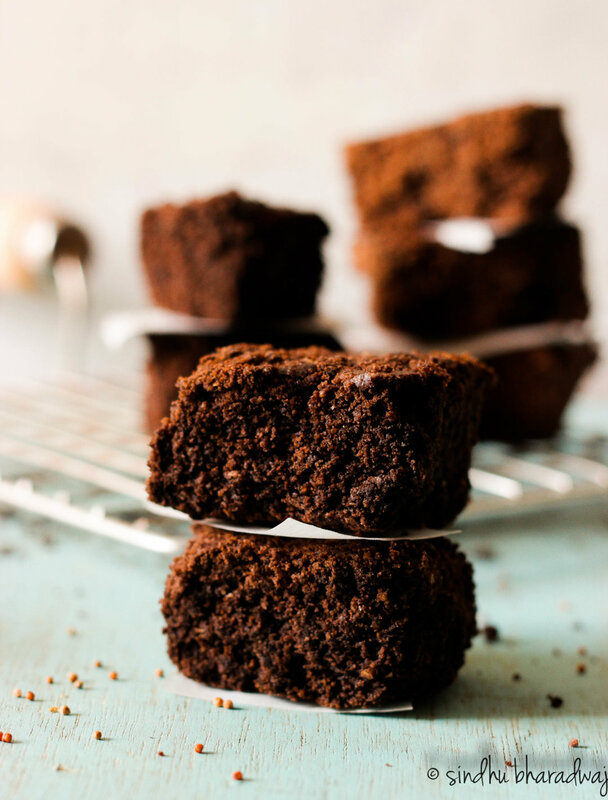 I had to experiment a lot in the kitchen and after 2 failed attempts I cracked it the third time with these incredibly moist and delicious ragi brownies that I was over the moon. 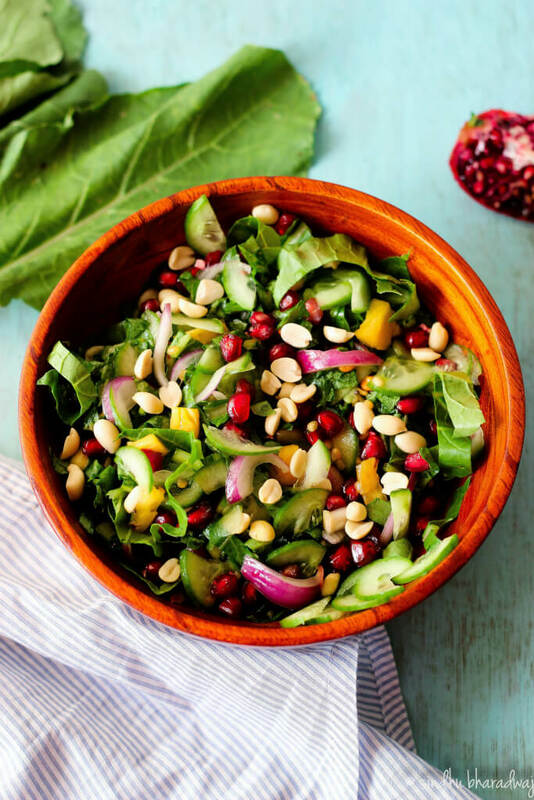 It’s always nice to have a healthy alternative when the whole world is suffering from so many ailments because of the food that we eat. I for one, made a choice not to eat frosted cakes and not to bake one either ( unless my client is particular about covering it all with cream). I love baking tea cakes without frosting or whipped topping. This fruit cake is a perfect example of how tasty non frosted cakes can be. 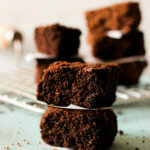 These Ragi Brownies do not have a pinch of maida ( all purpose flour) or wheat flour to bind the ingredients. 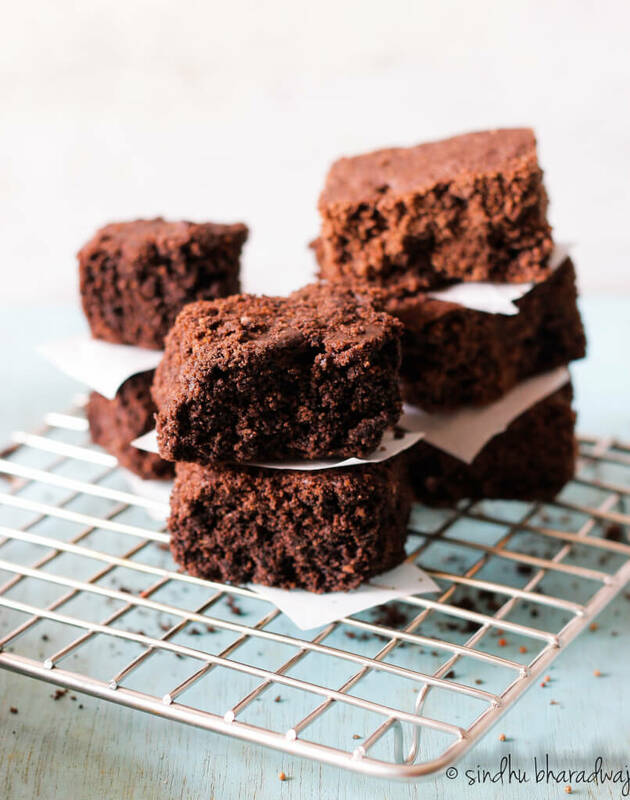 Ragi is gluten free and is hard to bind well when trying to bake, but it is not completely gluten free either (check notes after recipe for completely gluten free alternatives and suggestions). Having said this, the texture of my ragi brownies was rather soft yet crumbly because it doesn’t have a great binding agent, nevertheless the taste and flavour was not compromised one bit. You can have my word for it. However, you can always add eggs/butter as per your preference as long as you don’t mind eggs in baking. 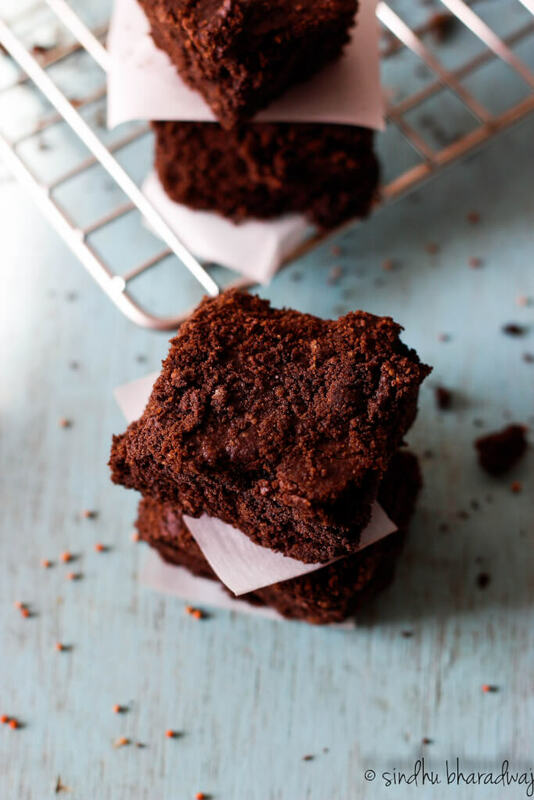 Rich, decadent, moist and slightly crumbly in nature these Eggless Ragi Brownies (finger millet brownies) are your best bet to make brownie indulgences guilt free. They're butter free, egg free, easy to make and taste incredibly delicious and original. You've got to try it to believe it. Unbelievably real! To make the eggless ragi brownies, Let us first pre-heat the oven to 180 °C. Now, let's start by combining the wet ingredients. In a large bowl add the yogurt, sugar and whisk well until the sugar is dissolved. Now add baking soda, baking powder and whisk again till you see bubbles foaming up ( this might take anywhere between 3-5 minutes). If the yogurt is slightly chill it'll take longer. Now, add the cocoa powder, espresso mixture, corn flour, oil and whisk again till all of it is combined. At this point, add the ragi flour and oats flour mixture. Combine well until it becomes a fudgy mass, it should neither be too battery nor too thick. Line a baking tray with parchment paper and pour the ragi brownie mixture. 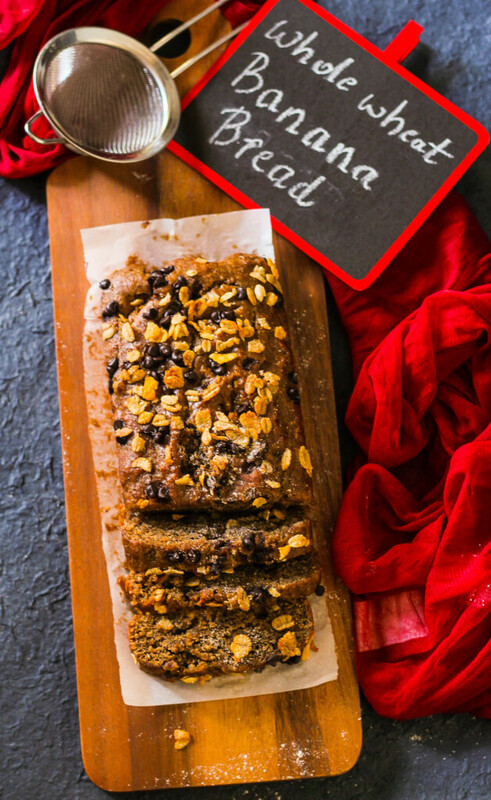 Spread well with the help of a spatula until everything is evenly set. 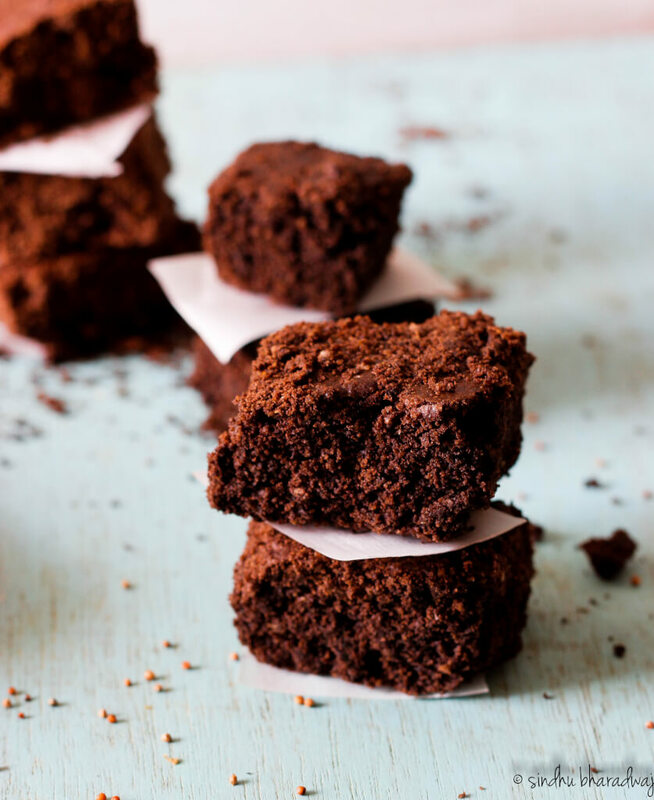 Bake the brownies at 180 °C for 30 minutes or until a toothpick inserted comes out clean. Cool completely and then cut them into chunks. For a completely gluten free ragi brownie, you can use gluten free oats. I used the normal oats flour. You can add egg/flax meal to make it more fudgy, but I haven't used either in my recipe. It is very important to cool the brownies completely before cutting them as it might break and disintegrate, since they are slightly crumbly. You can use the the crumbles part to make trifles as a quick dessert too.